Get your reading glasses, we're getting book-ish. 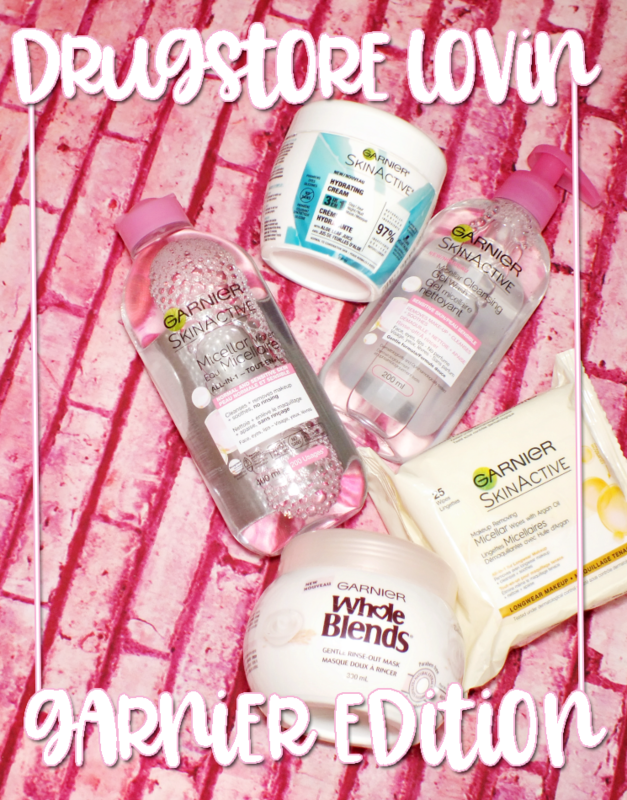 I've been a book lover for almost as long as I can remember and a beauty fan, but for quite some time never thought to connect them- beauty books! 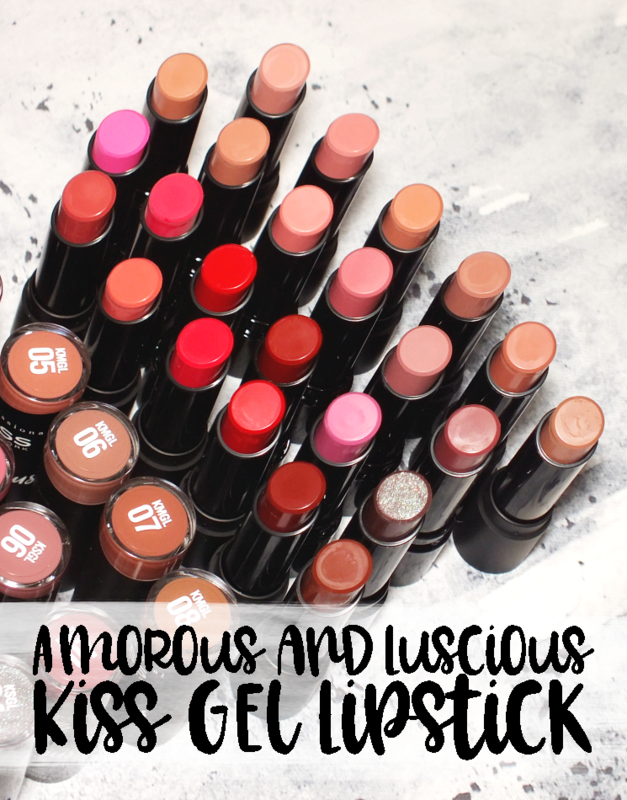 I'm not quite sure how I missed the opportunity to to fill my bookshelf with beauty books, but there is a fairly large selection of makeup and beauty books available. 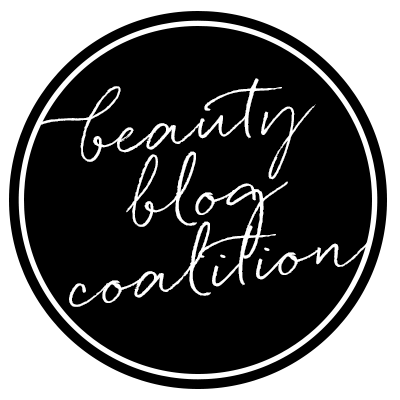 Today, I've got a small selection covering makeup, beauty, and nails- yes, nails too! Bobbi Brown is kind of like the godmother of beauty books, so it only makes sense to start with her. 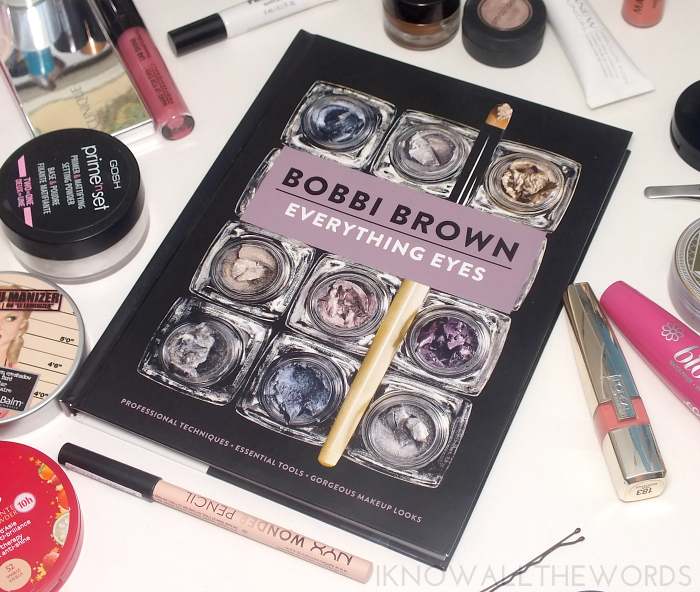 Everything Eyes by Bobbi Brown is her newest book, which as the title suggests, covers everything eyes. 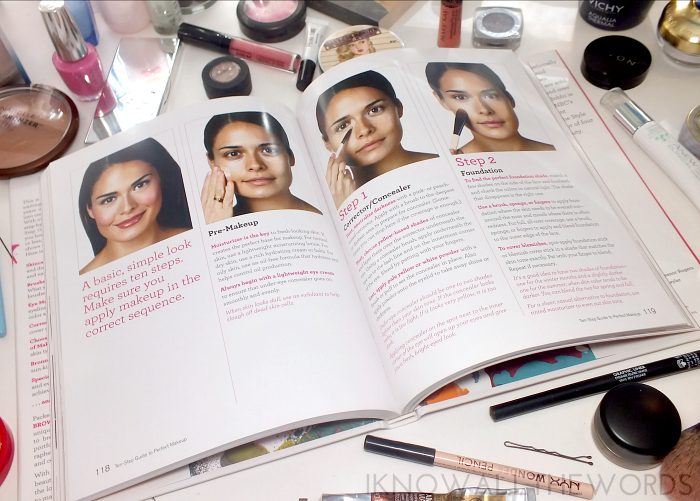 The first half of the book covers topics like eye care, essential brushes and tools, and step-by-step instructions for ten eye looks. The second half of the book focuses more on glasses. 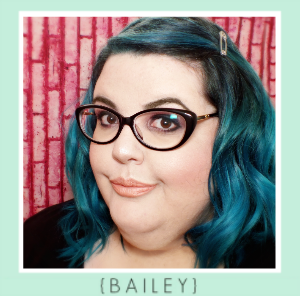 You get guides on face shapes, how to choose frames for your face shape and style, and examples of how to change your makeup to best suit your frames and style. 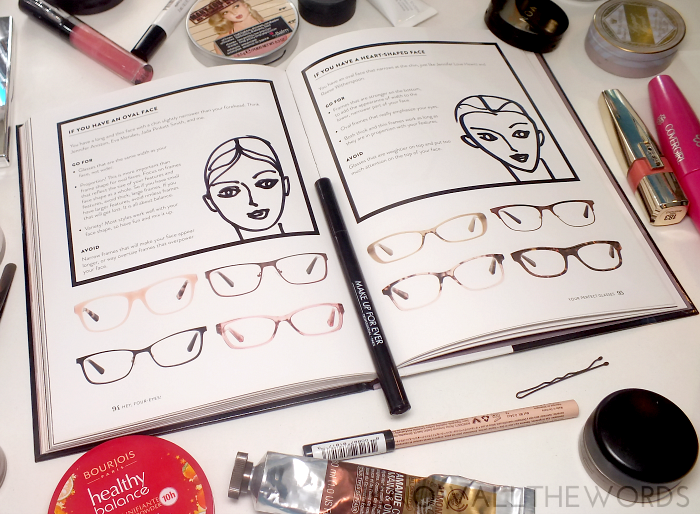 I wear glasses, but I did find a lot of the book was focused on Bobbi's range of frames. While they're gorgeous, I didn't buy the book to see her entire collection of frames. 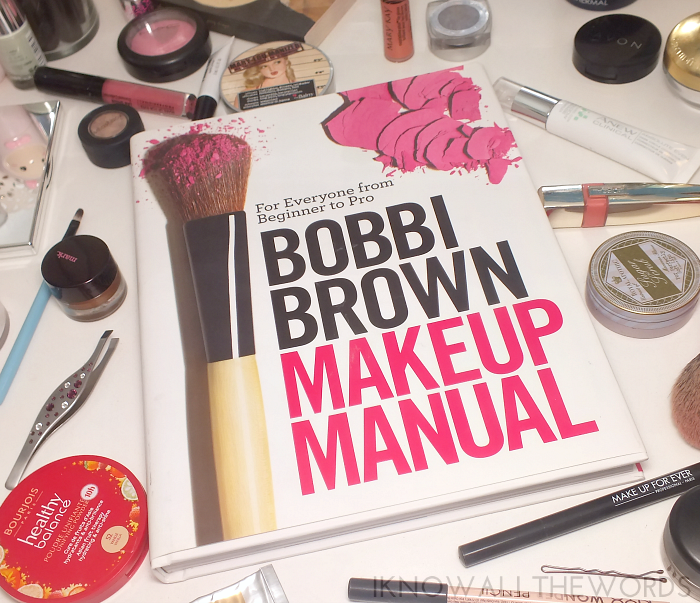 Hailed as being 'the only beauty book any woman needs to look fabulous' is the Bobbi Brown Makeup Manual. 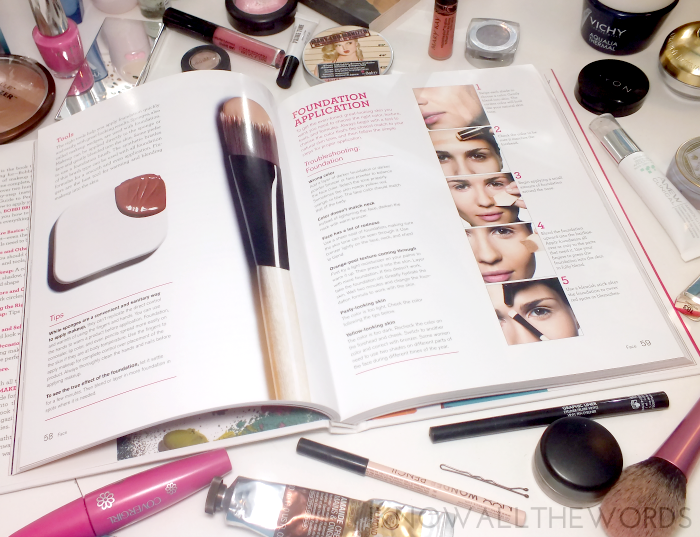 This book is large and in charge, as it covers pretty much everything you ever wanted to know about makeup- it's Bobbi Brown in book form. 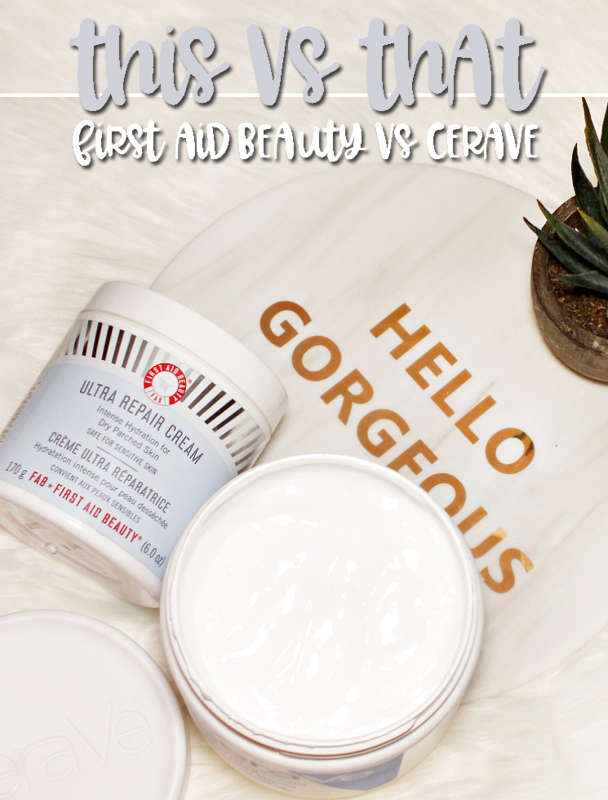 It covers the basics like brushes and tools, products and how to use them and even covers areas like body and hand and foot care. 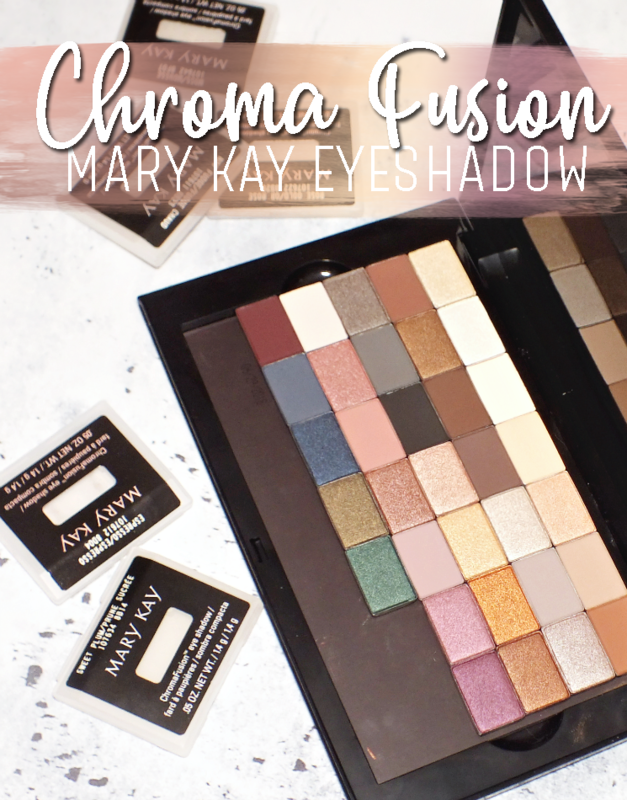 Of course, it includes more 'advanced' techniques like full look pictorials and information regarding to makeup artistry and how to apply makeup to a varied clientele. 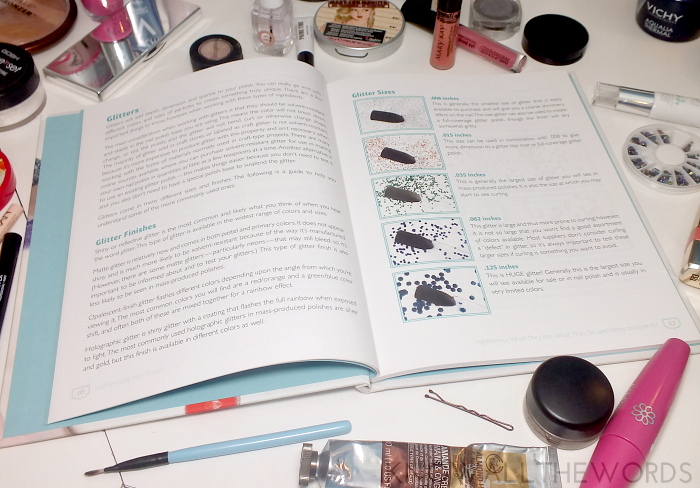 While some of the book is too basic for me- this is a great book for those just getting into makeup- the bulk of the book is still an interesting read with a lot of useful information. The photos are gorgeous, and I love that the models used are of every skin-tone. Onto nails! For more of an actual read (as opposed to tutorials) Nails: The Story of the Modern Manicure by Suzanne E. Shapiro is an incredibly interesting stroll through the history of nail polish and the manicure at large. While this could be too detailed for those who aren't polish fanatics, the through the decades look at how nails and polish has evolved is fascinating for polish-heads. 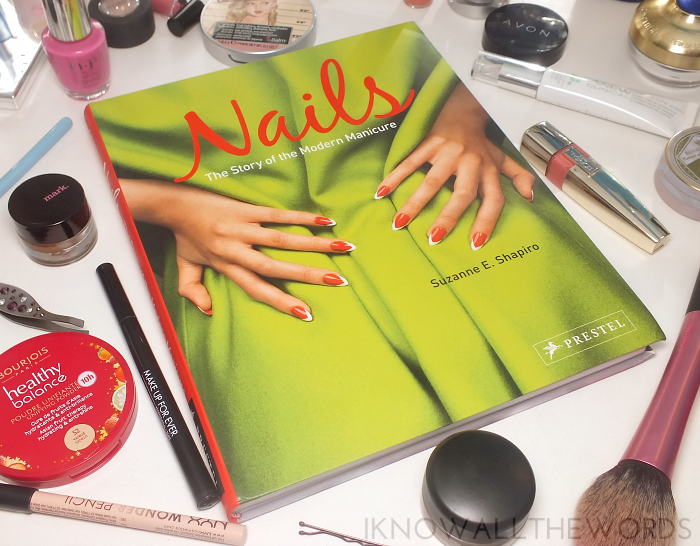 The book is full of interesting facts about nail styles, trends, and how brands and advertising have evolved and shaped how nails and the manicure has evolved. The book features photographs, illustrations, and advertisements from each decade which really add to the written content and makes for a really great read. 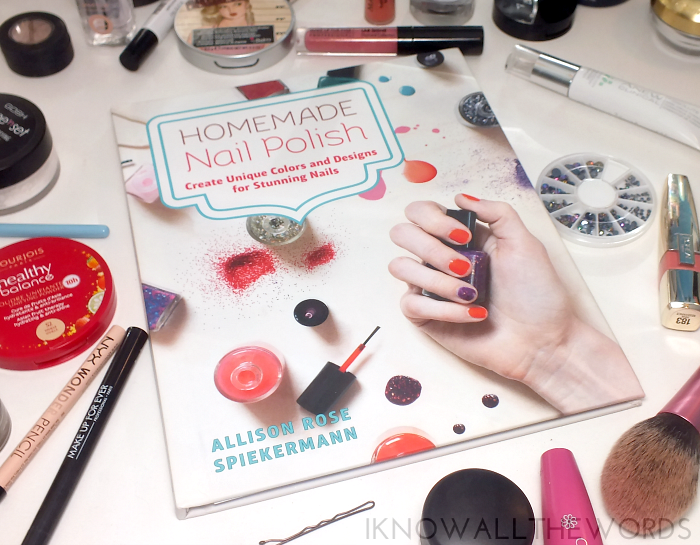 If simply wearing and reading about polish isn't enough, you can always whip up your own with the guidance of Homemade Nail Polish by Allison Spikermann. 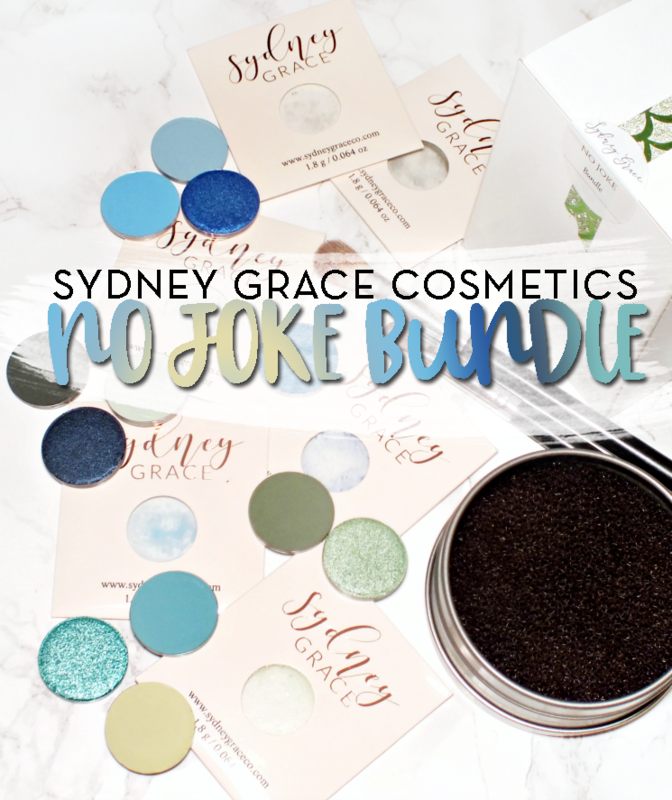 The book covers everything you need to get started with specific tips and ingredient info along the way- like a section dedicated to glitter, just glitter, and how to work with it in various sizes. The book includes recipes for a bunch of shades and offers substitutions for ingredients should you be unable to find something. 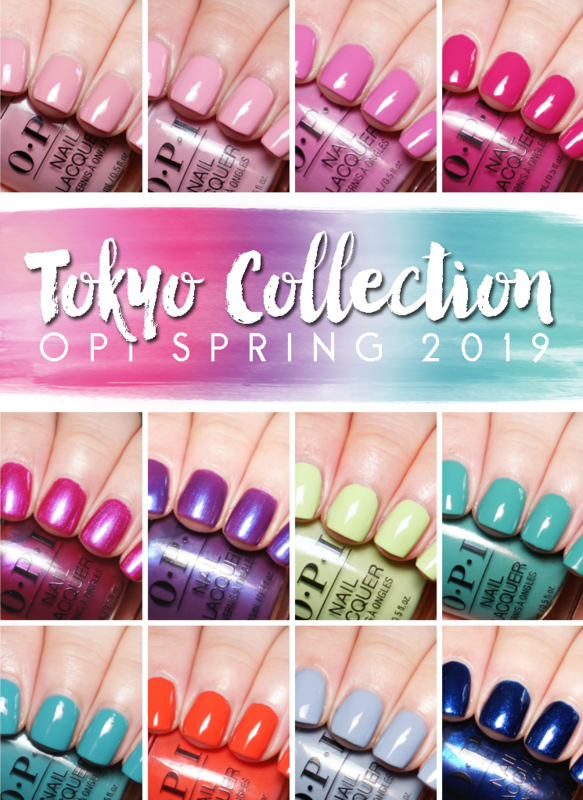 While I don't think I'll be manufacturing my own polishes from scratch, I found this to be really interesting and has given me a new insight into how indie polishes are made. 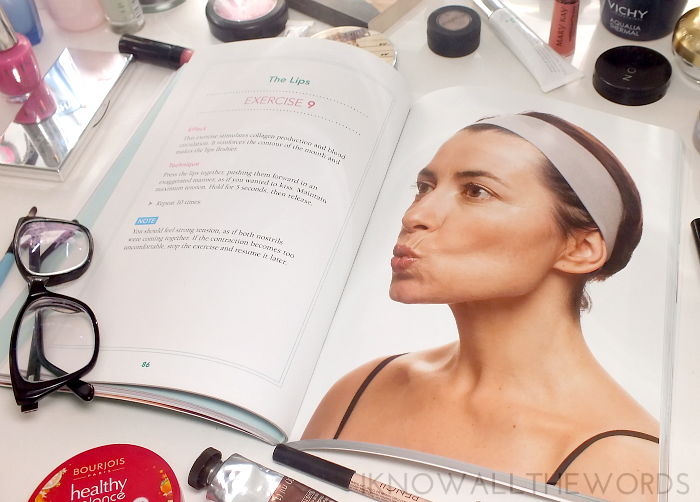 The last book off the shelf, is a little bit different as it's a workout... for your face. 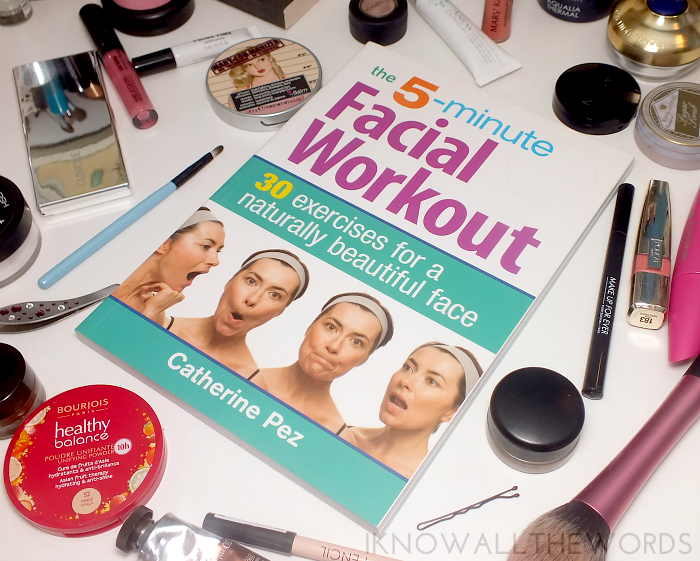 5-Minute Facial Workout by Catherine Pez is a like skincare in book form, as it gives you everything you need to keep your face looking firmer, toned, and younger- who doesn't want that? 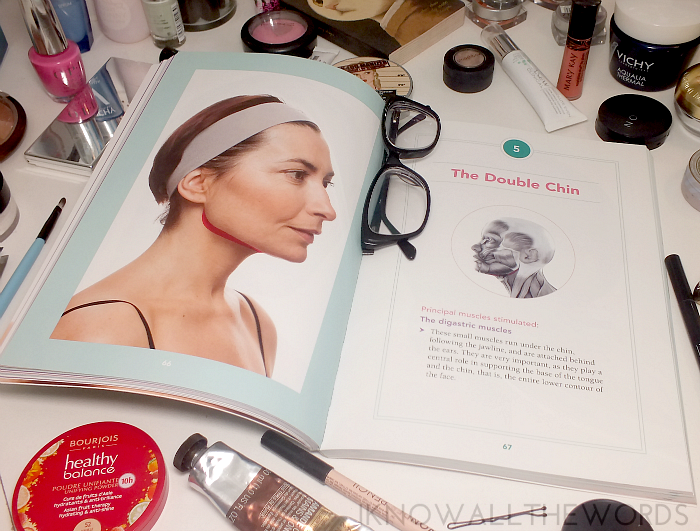 The book includes a series of exercises targeted to work specific areas of the face and neck. For each area of the face, there is a page of information regarding the muscles and tissue and what role it plays. The pages following, show you the movements and stretches that will tone and tighten said muscles. While you do end up making some ridiculous faces, these exercises are effective and are worth the few minutes it takes to do. I love that this book is so well illustrated as you're never left wondering if you're doing the exercise correctly. 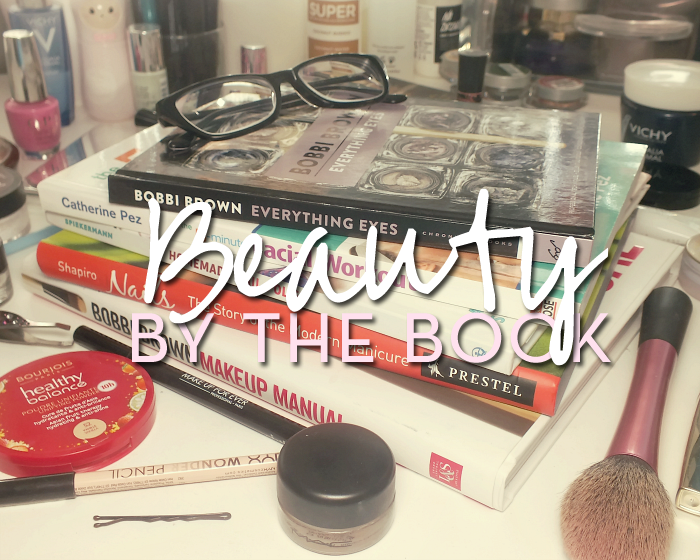 Overall, I'm kind of loving beauty books! They're a great way to diversify your skills, get inspired or just to look at. Do you have any of these books? 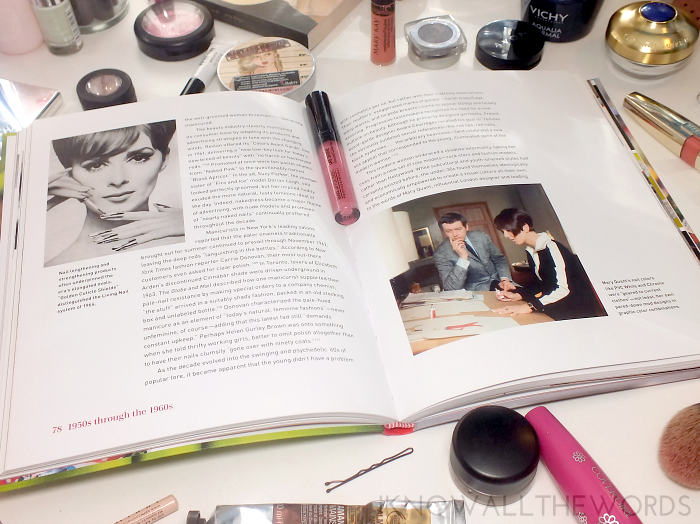 What are your favourite beauty books?